Around the mid 1980’s scientists across the globe began to reveal the occurrence of fish mercury levels - sufficient to prompt fish-consumption advisories - were from locations lacking substantive, on-site anthropogenic or geologic mercury sources. Soon after, it became clear a new mercury source was at play, one that could affect aquatic ecosystems anywhere on the planet: that source was atmospheric fallout. By the mid 1990’s, mercury was widely recognized as the most common contaminant of aquatic ecosystems worldwide, and exponentially increasing attention was being placed on the topic by scientists and resource management agencies. In 1995, the USGS initiated the Mercury Research Team (MRT) and assembled the Mercury Research Lab (MRL). Mercury is global issue that is currently confronting resource managers and regulators in the US and globally. As recently as ten years ago it would have been difficult to consider remediation strategies, but with a rapidly increasing scientific understanding possible solutions are now being discussed, The Mercury Research Team (MRT) in the USGS Wisconsin Water Science Center (WI WSC) office in Middleton, Wisconsin is national leader in mercury research and a major contributor in many areas of advancing scientific understanding. 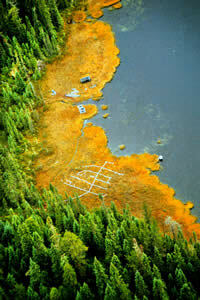 The MRT provides expert assistance to the USGS and other state and Federal agencies. Assistance is provided through execution of studies, sample analysis for the Bureau and other federal and state agencies, methods development for field and lab procedures, interpreting data, and drafting reports. We strive to provide the best possible data and service by remaining on the cutting edge of mercury research, and maintaining a state-of-the-art mercury analysis laboratory. Low-Level Speciation Analysis: As recently as 15 years ago, researchers could not reliably measure the mercury concentration of mercury in environmental samples due to the very low levels generally observed. In 1995 the USGS established the Mercury Research Lab (MRL), which serves as the analytical service point for the MRT, as well as the vast majority of the USGS generally. The MRL has a well-established, international reputation for excellence in the quantification and speciation of mercury in all forms of environmental samples (water, sediment, biota, and air). We have developed and published methods prove out papers for most of our methods, but will always continue to strive to improve our capabilities. As new approaches or ideas come forth and provide promise for improved speciation, sensitivity, or sample through put, the WMRL will seek to employ these procedures. Scientific Leadership, Study Design and Execution: The MRT is involved in studies from Alaska to Florida, and from California to Maine. Our studies are always on the leading edge among researchers internationally, and often are done collaboratively with large research teams both within the USGS and outside the Bureau. Often our projects are designed to provide an answer to land-resource management questions from DOI agencies or other state and federal agencies. 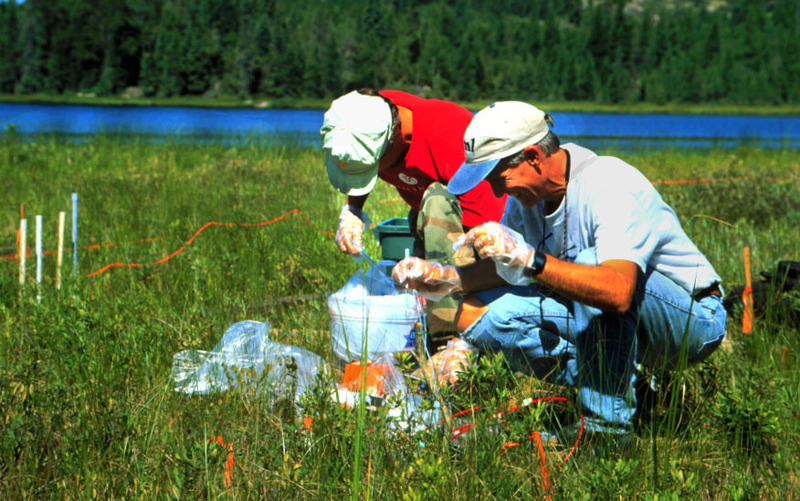 Last, MRT researchers continually provide scientific consultation and collaboration to USGS scientists, as well as those from other state and Federal agencies. As recently as the 1990’s, reliably measurements of mercury in environmental samples were not readily available –especially species specific measurements. The MRL has a well-established, international reputation for excellence in the quantification and speciation of mercury in all forms of environmental samples (water, sediment, biota, and air). We have published methods prove out papers for most of our methods, but will always continue to strive to improve our capabilities. As new approaches or ideas come forth and provide promise for improved speciation, sensitivity, or sample through put, the WMRL will seek to employ these procedures. 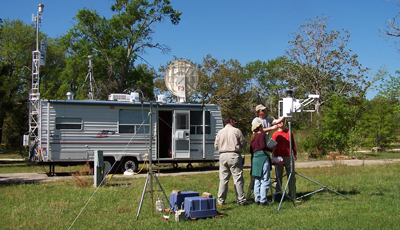 The MRT created the Mobile Atmospheric Mercury Laboratory (MALM in 2003. 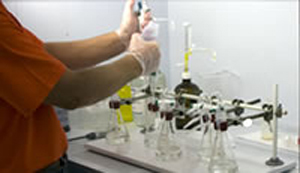 The facility is capable of making all the critical measurements that are relevant to atmospheric mercury studies, such as: speciate gas-phase mercury, ancillary gas-phase chemistry (e.g., NOx, SOx, ozone, aerosols, and carbon monoxide) and the full suite meteorological measurements to facility atmospheric mercury studies. The USGS has historically not been an active participant in atmospheric research, but the addition of this technical capacity makes the USGS one of the only agencies in the world that can study all aspects of the mercury contamination problem (atmosphere, hydrosphere, lithosphere, and biosphere).